Caixabank has found a neat way of conserving capital. The Spanish lender owns minority stakes in several overseas banks that were bought to diversify its earnings base. But while the stakes gave Caixa added breadth and dividend income, it encountered earnings volatility. The investments were also a drain on financial strength. It is now selling two of the stakes – a 17.2 percent stake in Bank of East Asia and a 9 percent holding in Mexico’s Inbursa – to its own parent, Criteria, for 2.7 billion euros mostly in Caixabank’s own shares. Under Basel III capital rules, minority stakes in other financial institutions put capital burdens on the owners. Caixa’s strategic plan unveiled in March aimed to reduce capital allocated to stakes from 16 percent to below 10 percent by the end of 2016. This deal takes it to about 8 percent. Caixabank is selling the stakes at market prices. A cash sale in the market might have been preferable, but may have required a discount. The parent, Criteria, is paying Caixabank with some 2 billion euros’ worth of Caixa’s own shares which it plans to redeem. The deal adds 10 basis points to the bank’s overall “fully loaded” core capital ratio of 11.6 percent even after cancelling the treasury shares. There are three positives. By reducing the share count, Caixabank offsets the loss of revenue from the stakes and keeps earnings per share neutral. Second, it increases the free float of the company since Criteria will see its stake fall to 52 percent and down to 49 percent on a fully diluted basis by 2017. 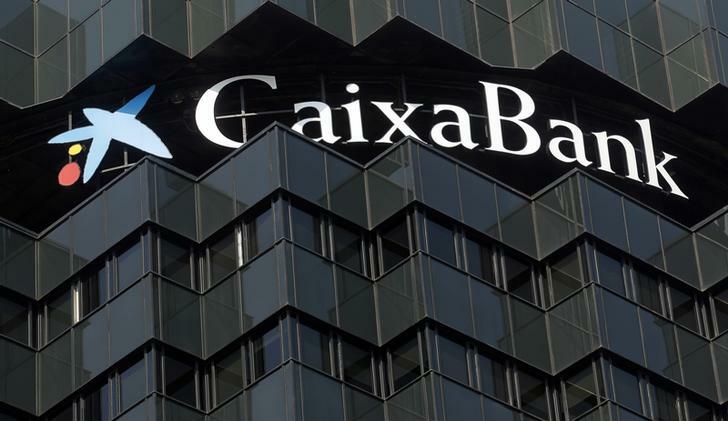 Third, by keeping it all in the family, Caixabank can continue its commercial cooperation with both Inbursa and Bank of East Asia, though the benefits of these relationships are unclear. It’s an elegant workaround, but won’t solve Caixa’s central problem – its tough domestic business. Though bad-debt provisions are falling and the economy is growing, ultra-low interest rates and competition for few borrowers is hurting net interest income. JPMorgan predicts the return on net asset value will reach just under 10 percent by 2017, well short of Caixabank’s 12 percent to 14 percent target. It will take more than the neat deal of Dec. 3 to change that. Caixabank said on Dec. 3 that it was selling a 17.2 percent stake in Bank of East Asia and a 9 percent stake in Mexico’s Inbursa to its parent company Criteria for 2.65 billion euros. Criteria will pay with 2 billion euros’ worth of Caixabank shares, or 9.9 percent of the company, and the rest in cash. Caixabank says it will redeem the shares in a move that will take Criteria’s stake in Caixabank to 52 percent from 57 percent. Caixabank said the asset swap would reduce the amount of capital consumed by its non-controlled equity stakes to 8.1 percent of total capital, ahead of its goal to go below 10 percent by end of 2016. At 0924 GMT on Dec. 4, Caixabank shares were up 1.5 percent to 3.63 euros.